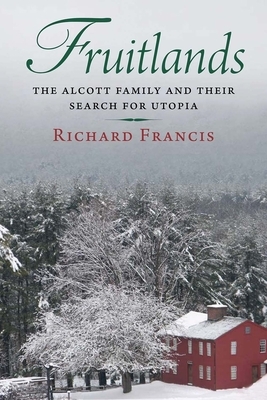 The most thorough work on the Alcott family and their utopian experiment. Francis really captures the battle of trying to raise a real family while attempting to yourself to such lofty ideals. This is the first definitive account of Fruitlands, one of history’s most unsuccessful—but most significant—utopian experiments. It was established in Massachusetts in 1843 by Bronson Alcott (whose ten-year-old daughter Louisa May, future author of Little Women, was among the members) and an Englishman called Charles Lane, under the watchful gaze of Emerson, Thoreau, and other New England intellectuals. Alcott and Lane developed their own version of the doctrine known as Transcendentalism, hoping to transform society and redeem the environment through a strict regime of veganism and celibacy. But physical suffering and emotional conflict—particularly between Lane and Alcott’s wife, Abigail—made the community unsustainable. Drawing on the letters and diaries of those involved, Richard Francis explores the relationship between the complex philosophical beliefs held by Alcott, Lane, and their fellow idealists and their day-to-day lives. The result is a vivid and often very funny narrative of their travails, demonstrating the dilemmas and conflicts inherent to any utopian experiment and shedding light on a fascinating period of American history. Richard Francis has taught at universities on both sides of the Atlantic and has previously written on Ann Lee, founder of the Shakers, and on the Salem witch trials. He is also a novelist.